Northwood Christian Church is a great place to have your next event. Whether you're looking for meeting space or party space we've got the place for you. 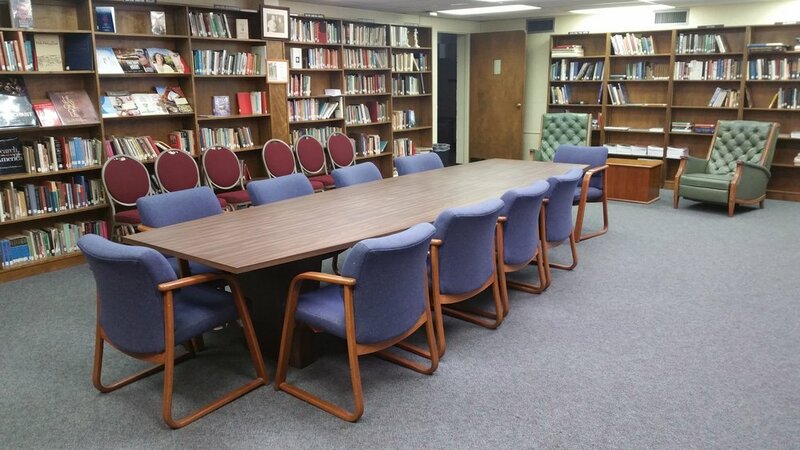 The Library at Northwood tops the list for great meeting space here at Northwood. As you can see the center of attention is the large professional conference table that seats ten. If you have to sit in a meeting you should at least be comfortable. Need room for more then ten, don't worry we have a couple of very nice lounge chairs and several banquet chairs to go around the room. You can easily fit 20+ in this room. Nearby is a kitchenette and restrooms. This facility is handicap accessible. Free wifi. The Library currently rents for $25/2hr minimum fee.. The Parlor at Northwood is a wonderful, warm place for meetings and small gatherings. With brick walls and wood accents this room allows for a lot of natural lighting with three of the four walls having windows. The room offers accent lighting around the outer edge of the room and plenty of interior lighting. The Parlor is sure to be a pleasant space to hold any event. 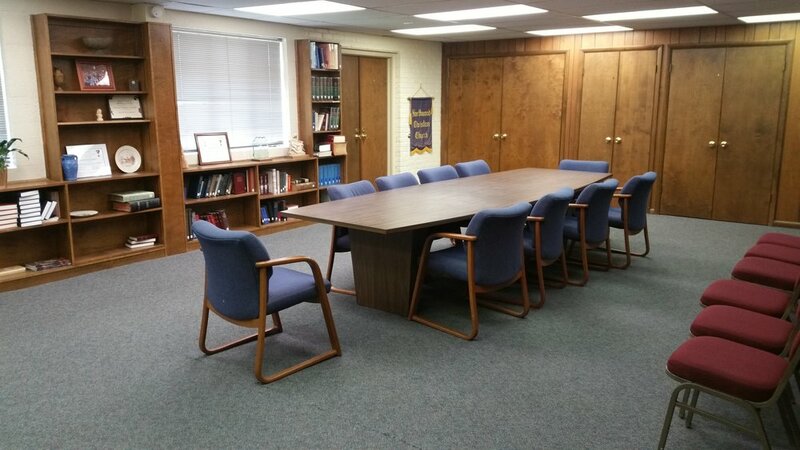 This room consist of a large wooden table with chairs, piano, a service window to the kitchenette, and plenty of additional seating by way of banquet chairs, and tables if needed. Nearby is a kitchenette and restrooms. This facility is handicap accessible. Limited wifi at this time. The Parlor currently rents for $50/2hr minimum fee. 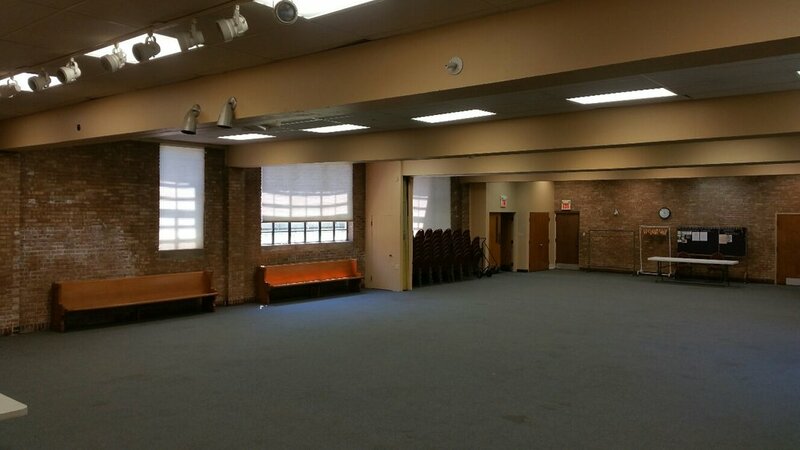 Fellowship Hall is just that... it's a hall, complete with a stage. This area has hosted many programs. fellowship lunches/dinners, shuffle board, holiday parties, and boy scout meetings. Now with the shuffle board covered with carpeting we have refined the look of this room, yet preserved the beautiful hardwood floors that encompass the stage.